Come on, guys: what did spokes ever do to you? 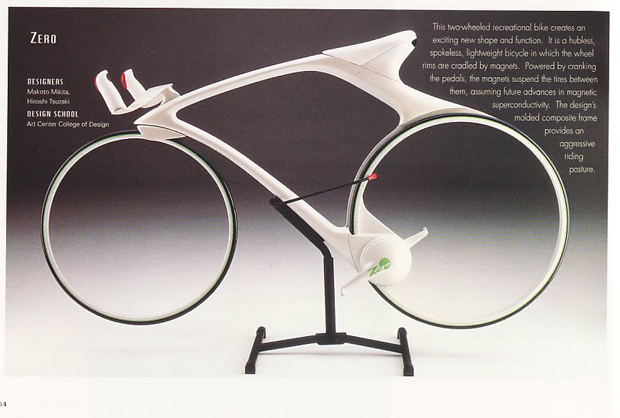 It seems like every new bicycle prototype spinning around the blogosphere has one thing in common. Or rather, lacks it: spokes. For some reason, designers hate the things, coming up with one heavily-stylized way after another to do away with hubs and spokes. 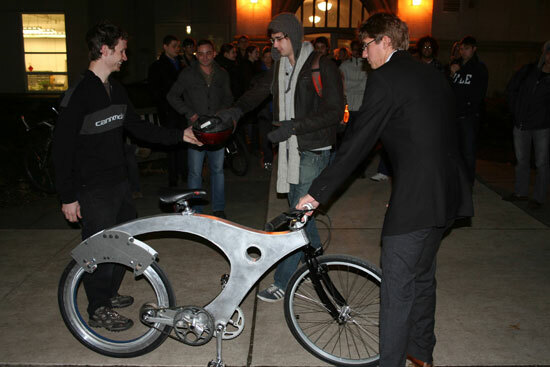 Some mechanical engineers from Yale even caused a stir last month by actually building one. But why? The most common reason is weight: Hubless wheels are supposedly lighter. But considering it’s pretty easy to find wheel pairs (with spokes) weighing less than 1.5 kilograms, the claim is dubious. You’d need a pretty powerful rim to hold up under pressure unmediated by a set of spokes, and that’s bound to weigh quite a bit. Spokes are near perfect: They put the wheel in tension, like a suspension bridge wrapped in a circle. The concept works so well, wheelbuilders have gotten away with using as few as eight spokes on a wheel–but they’re still using spokes. When designers play around with the physics–putting spokes in compression, instead of tension, like Mavic infamously tried with their R-Sys wheels–the results are explosive. 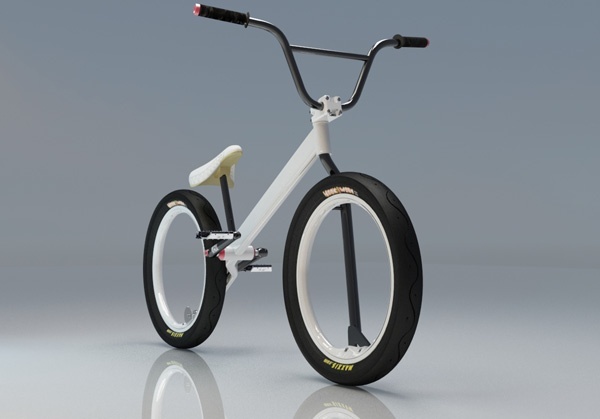 Should designers give up on rethinking the bicycle? Not necessarily. But maybe it’s time they shift their attention to a different part. A more comfortable seat, say, or better-looking spandex.